I've given you my 2013 Makeup and Nail Favourites, now it's time to move onto part two, showing you the skincare and haircare products that beat off their competition to top my list. There's a few of the usual suspects making an appearance in there, but I've also discovered some exciting newcomers that have overtaken their rivals and become firm favourites of mine. 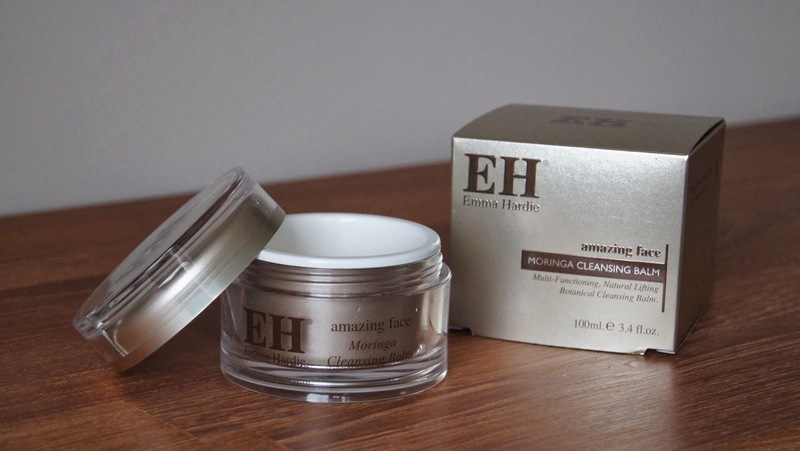 It probably comes as no surprise that the Emma Hardie Amazing Face Moringa Cleansing Balm has been included in my lineup of best skincare products from 2013. This has cropped up in practically every skincare post I've ever written on my blog and for very good reason. No matter how my skin is behaving, this cleanser works a treat. The rich, oily balm melts onto skin, drenching it with nourishment, whilst thoroughly getting rid of any makeup and grime, in a flash. Using a flannel to buff the cleanser away, skin is left gently exfoliated, soft and feeling extremely comfortable. Now, if I use another type of cleanser, such as a foaming gel or liquid, my face never feels as clean as it does after using the Emma Hardie balm. There's no tight feeling, no greasy residues left behind and no irritation from it. Obviously it's a great choice for drier skins, but, as it doesn't leave skin feeling parched, causing it to overcompensate and produce more oil, it's a great product to help balance oily or combination skin too. Honestly, there's nothing negative I could say about this cleanser. Even after having a fleeting flirt with other balms, I always come back to this one; I'm completely loyal to it, through and through. There was only one face mask that I could choose as my favourite of the year. 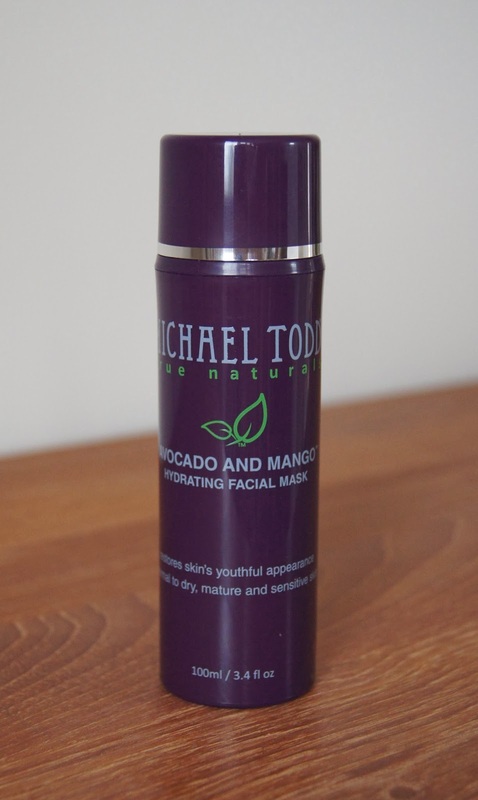 It had to be the Michael Todd Avocado and Mango Hydrating Facial Mask, that saved the day when my skin had a seriously sudden and unwelcome surge of dryness towards the latter half of 2013. I have well and truly waved goodbye to my oily skin days and have new, very opposite issues to deal with. On first use, this rich, creamy mask wasn't quite what it seemed. Expecting a gentle, soothing treatment, I was shocked to feel a tingling sensation on application. Failing to do my research before I tried it out (silly me! ), I hadn't realised that this was exfoliating too. Thanks to a helping of Salicylic Acid exfoliating pores from the inside out and literally eating up any dead skin cells, the mask leaves behind a completely smooth surface, once it's rinsed off. Honestly, it's amazing. Not only does it smell good enough to eat (I do not recommend this! ), the formula is so effective and does exactly what it says on the tin. Jam packed with natural oils and butters, including avocado oil, jojoba oil, beeswax, shea butter and mango butter, this mask delivers a heavy hit of moisture. Straight after use the results are noticeable, which I love. Skin is soft, free from flakey patches and glowing. Applying the rest of my skincare routine feels so much more worthwhile, with my serum and moisturising absorbing quickly and leaving my face so happy, hydrated and smooth. Having a drawer full of various masks and treatments to use up, it's rather rare for me to use the same one twice in a month. It speaks volumes that this mask takes pride of place on my skincare shelf! 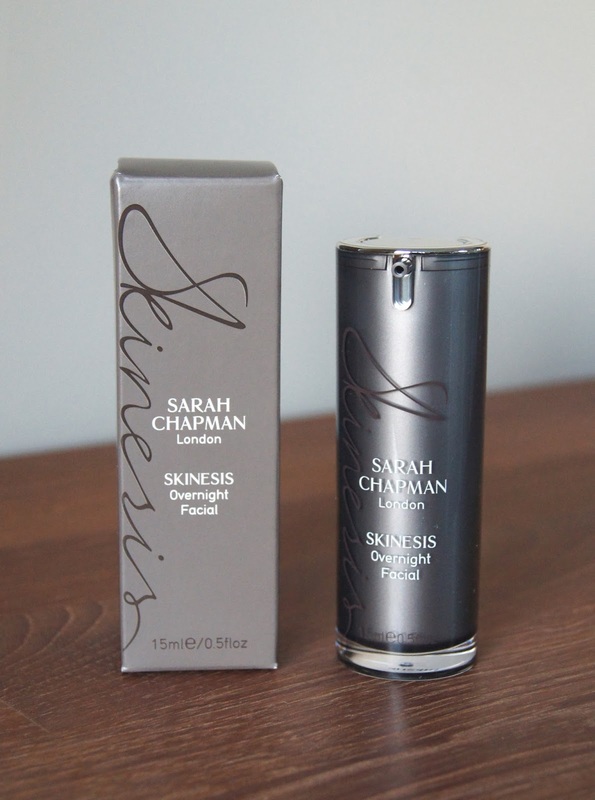 I've played around with a couple of facial oils in my time, but have never come across one that's as luxurious as the Sarah Chapman Skinesis Overnight Facial. Massaged into skin, in place of my usual, evening serum and moisturiser, this gives my skin a hydrating, vitamin-enriched boost. Plumped and glowing, the morning after my face looks so healthy and radiant. Rich in omegas, antioxidants, peptides and vitamins, this silky-textured oil is supercharged for anti-aging, repairing daily wear and tear. Being in my early twenties, aging isn't my biggest skin concern at the moment, but prevention is always better than cure and when a product works as well as this, I only wish I'd found it earlier! This product is a one stop shop, making it a time-saver on nights when I'm crawling towards my bed and can't be bothered with the hassle of my regular, various lotions and potions regime. But, it's not just a 'that will do', last resort quick-fix. Famed for her facials, Sarah Chapman has enabled us to bring the spa home and get a taste of the Skinesis treatment, for a fraction of the price. Whilst containing a load of nourishing, essential oils, to me, this serum-oil hybrid smells like a floral soap, which doesn't really float my boat. The fragrance could be an issue for very intolerant, sensitive skins, so I'd recommend going into store and doing a patch test before purchasing if you have easily irritated skin, just in case. I definitely intend to spread my wings and sample lots of other Sarah Chapman delights in 2014! And here we have another Michael Todd product. As you can tell, I was so impressed by the highly organic brand during 2013 and enjoyed using every product I tried from them. Usually, toners that work to prevent and treat blemishes are very alcohol-heavy, which is too harsh for skin, leaving it dry and irritated. 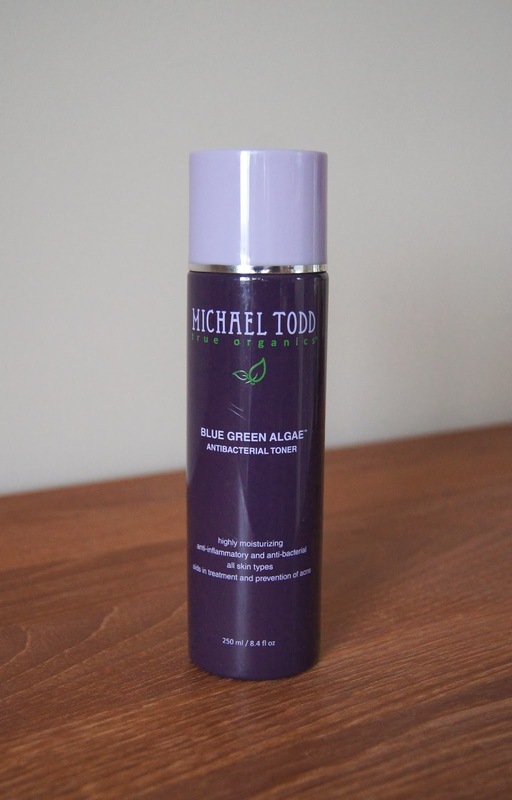 Instead, free from alcohol, the Blue Green Algae Anti-bacterial Toner helps to fend off problem skin and keep breakouts at bay, whilst keeping skin hydrated. Black willow tree extract and tea tree oil heal the skin and stimulate the immune system, to tackle infections deep down. My skin has definitely remained a lot clearer since using this toner, even at that notorious time of the month. Even if a blemish does decide to rear its ugly head, this toner helps to calm and soothe it, reducing both redness and the time it takes to fade away into obscurity. There is a slight tingle on the skin when you sweep the toner across it, which I love, as it makes me feel that the product is really getting to work, attacking any potential breakouts before they hit the surface. Personally, I find the lavender fragrance of the the toner to be too strong and I'd prefer it without, but hey, you can't have it your own way with everything! 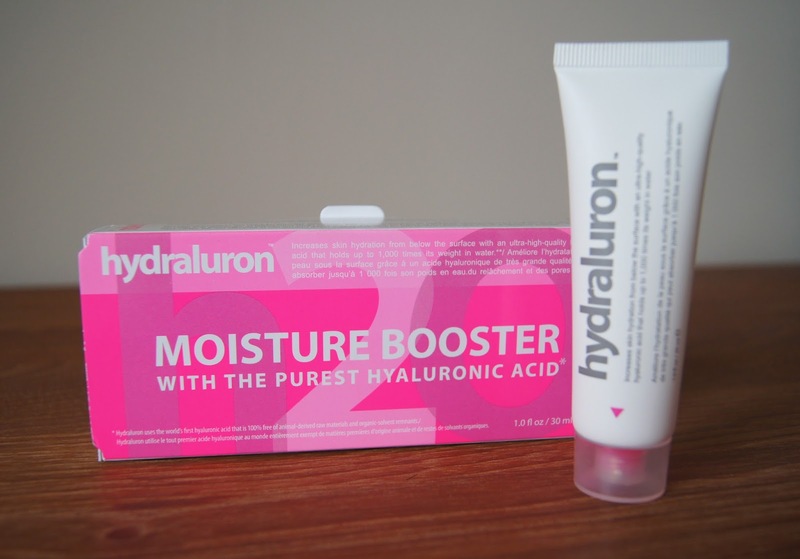 I always notice such a difference in my skin when I use a serum and none have impressed me more than the Indeed Labs Hydraluron. The tacky-feeling, clear gel may not seem particularly amazing as others on first application, but once a moisturiser is layered on top, the difference it makes is obvious. Brimming with hyaluronic acid, this serum works to inject moisture further into the skin, to penetrate on a deeper level. Immediately, my skin feels much plumper and long term, my skin isn't anywhere near as dehydrated as it was before discovering this product. Obviously, this serum is no replacement for drinking lots of water, but it's a great accompaniment to defeat dehydration from all angles. You don't need to overdo it with this serum, as you'll only be wasting product and won't see any extra improvement. Compared to high end brands with their extortionate, fancy-pants serums that claim to work miracles, Indeed Labs have really pared back their packaging and product, keeping it simple and believable, which is so refreshing in the beauty industry. This is the only serum I've used both day and night for around six months now and that won't be changing for the foreseeable future. With dry skin that comes out of nowhere, there's irritation. Up until 2013, I'd battled with oily skin, so to suddenly have tight, red, itchy patches on my face, I was rather taken aback and baffled as to what had caused them. My skincare routine hadn't changed, but to be on the safe side, I stripped it right down. Of course, the first thing to go was anything that contained harsh ingredients or strong fragrance. Then, moisture was ramped up big time! 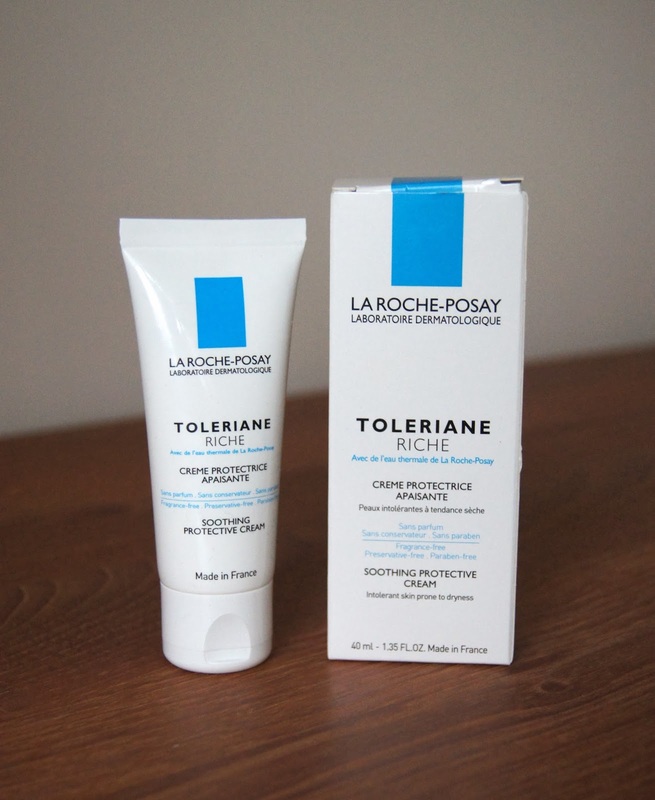 In confidence, I turned to La Roche-Posay Toleriane line to solve my complexion woes. I picked up a couple of the moisturisers, but the one that saved my complexion the most, was the Toleriane Riche Soothing Protective Cream. Non-comodegenic, the rich, but surprisingly light, formula refuses to block pores, no matter how much I slap on. The majority of the cream sinks in, but you are left with a light layer on the skin, which I was expecting as it's so effectively emollient. Straight away, tight, red, sore skin is soothed and left looking glossy and healthy. The dry, irritated patches that flared up out of nowhere are now a thing of the past thanks to this tube of wonder (along with regular exfoliation, hydrating masks and constantly carrying a bottle of water with me). Whilst makeup does sit nicely over the top of this cream, applying a dewy foundation straight over the LRP moisturiser can cause everything to slip and slide around, so waiting a few minutes for everything to sink in and settle is essential. If you're using a heavy-coverage base though, then this moisturiser is amazing at preventing the foundation from looking too dry and cakey. Even though my skin is more or less back to normal now, I won't be waving goodbye to the Toleriane Riche cream any time soon. My skin has never been in better condition and I want to keep it that way! 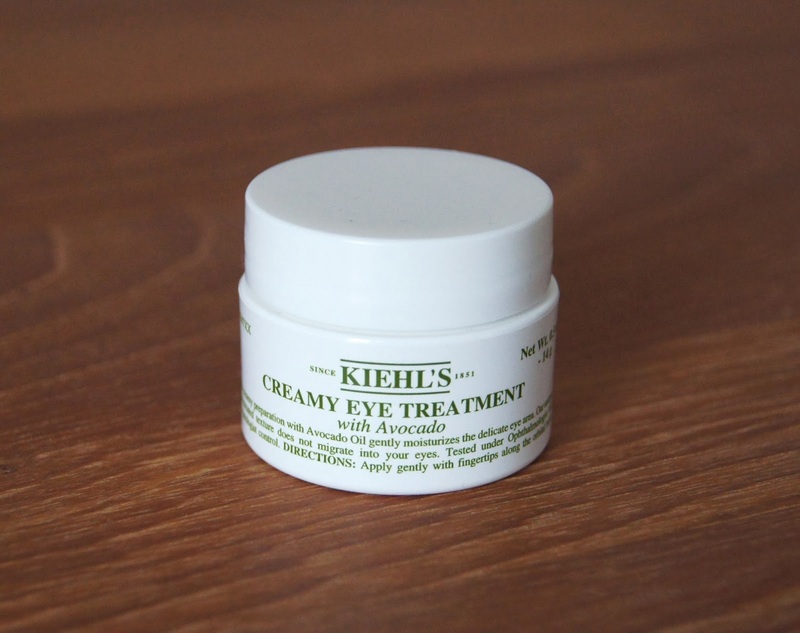 Before I tried the Kiehl's Creamy Eye Treatment, I'd always used lighter eye creams. On the hunt for something a bit more nourishing, I thought this one would be ideal. Enriched with Avocado Oil, the super hydrating formula melts into the skin, without migrating into the eyes, like others can do. If you haven't heard of the skin benefits of Avocado, being rich in good fats, then I'm surprised. So, it makes sense that Kiehls have taken advantage of the beauty boosting superfood, incorporating it into the formula. I tend to use this eye cream at night, as it can cause some creasing under the eyes when concealer is layered over the top. Sometimes when trying new eye creams, my eyes have had a bad reaction to them, becoming dry and sore if they're too strong or fragranced. Fortunately, I haven't experienced any irritation with this Kiehl's product and it's helped my eye area fully recover from the last time that happened. I can't comment too much on whether my fine lines have improved since using this cream, as I don't really have any just yet, but I'd like to think that such a hydrating formula would prevent them developing as I creep towards my mid-twenties! Phyto have quickly become one of my favorite haircare brands in the last year. 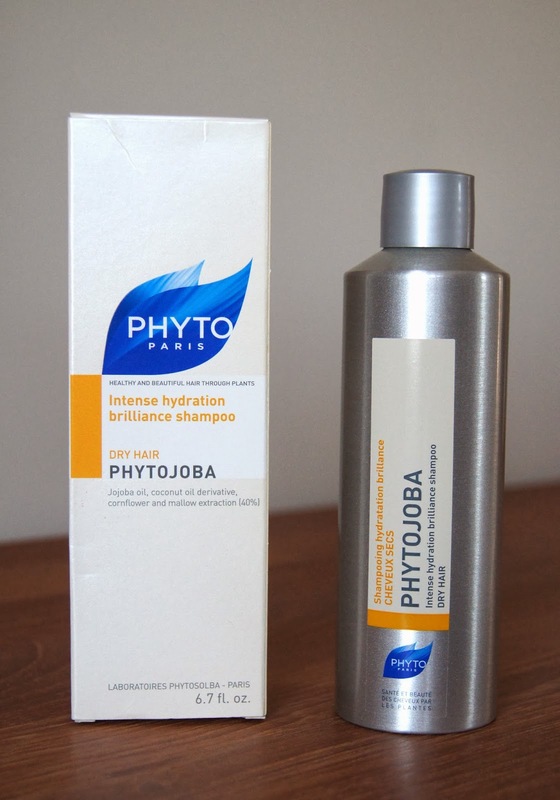 Their Phytojoba range is aimed at hydrating hair, which is exactly what my dry, long locks need (other than a jolly good trim every so often!). Whilst the conditioner was nice, it was the shampoo that made the biggest difference to my hair. Jojoba and coconut oils, paired with cornflower and mallow flowers, give the shampoo it's plant-powered, natural goodness. Creamy and rich, the silky formula feels nourishing, but doesn't weigh my hair down whatsoever. Leaving my locks clean and soft, it's effective at washing any grease or product out of my hair, without stripping it and leaving it lank. There's nothing worse than washing your hair and using a product that only makes you wish you hadn't bothered! Straight after rinsing it out, my hair instantly feels softer and smoother, before I even follow up with my chosen conditioner. Fragrance wise, it smells creamy and delicious. This is 100% a keeper in my haircare hoard. 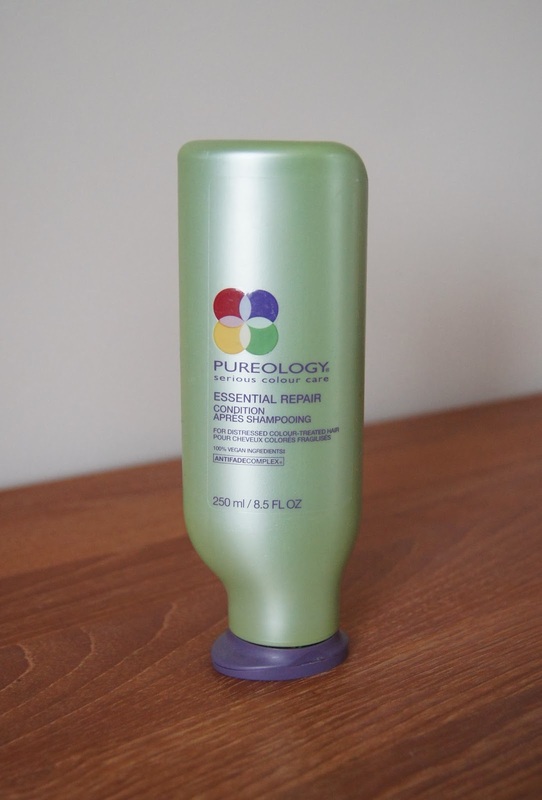 Towards the end of 2013, I ran out of my Phyto conditioner and reverted back to the Pureology range, making me realise just how good it is, in particular the conditioners. Formulated especially for colour treated hair, the sulfate-free products aim to retain colour vibrancy and conserve healthy hair quality. The Essential Repair system is my favourite from the brand, focusing on revitalizing and nourishing distressed hair. I wouldn't quite say my hair is distressed, but I'm always after smoother, sleeker strands and this conditioner definitely gives me that. Thick and rich, it really treats the hair, penetrating quickly. After use, my hair is considerably less fluffy or frizzy and even my drier ends feel ten times softer. Despite it being rich and intensive, I can use this conditioner all over my hair, rather than just the lengths and ends, without worrying about greasy roots. When combing through my wet hair before styling, there's noticeably less knots to contend with, meaning less breakage. Mimosa, Vanilla and Mandarin blend together to create the beautiful fragrance, which lingers in the hair until you next wash it. So many different hair treatments made an appearance in my bathroom last year. 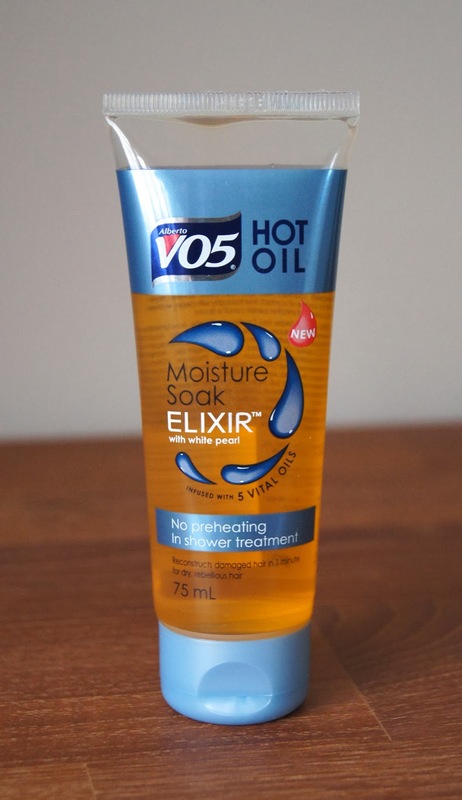 None impressed me enough to overtake my old favourite, the V05 Moisture Soak Elixir In-Shower Treatment. Firstly, it's quick. With life becoming so busy as of late, I don't have time to pamper myself as often as I'd like anymore and have to slot my preening in whenever I can. Most hair masks take fifteen minutes to work their magic, so as this takes only two, it's exactly what I need and even have time to use it during my morning shower. As it's a pre-shampoo product, you don't run the risk of leaving it on too long or applying too much and having excess product left in your hair, like you do with some others. Spreading it through the hair is easy and one, good glut is enough for even my needs-a-good-chop-soon, long hair. The light formula has a very liquid consistency and isn't at all greasy feeling for an oil. If you have fine hair, like me, then this is a great treatment as it isn't too heavy and won't leave hair feeling weighed down. There is a portion chart along the side of the tube, but I personally use slightly more than they recommend. Nevertheless, you still get about four or five applications in one tube, making it an absolute bargain from the drugstore. As you can see, I had quite the love affair with Phyto last year, in my quest to use more natural hair products. Serums are something I like to use on my hair when wet, reserving thicker, more nourishing oils for when my hair's dry, so I don't go overboard and add too much. 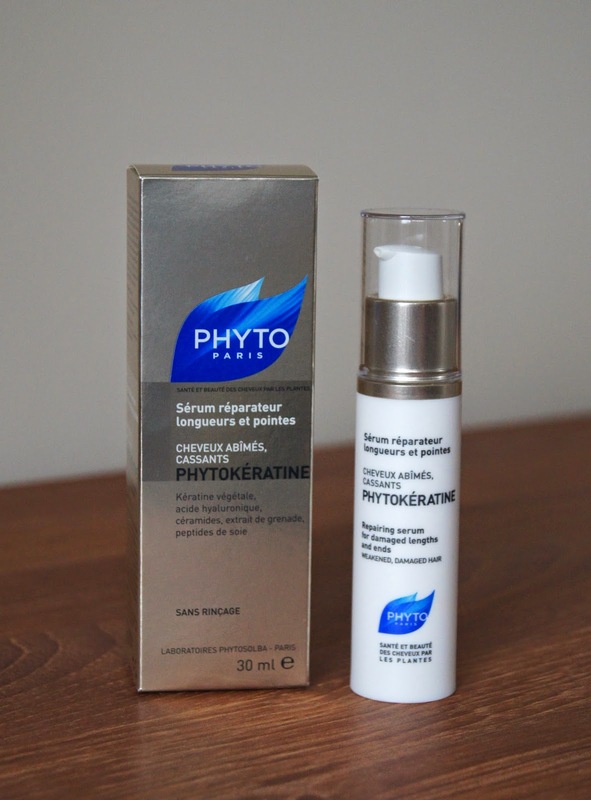 The Phyto Phytokeratine Repairing Serum is so light and feels totally weightless once applied. Harnessing the power of plants, Phyto have included ingredients such as hyaluronic acid, amino acids and botanical keratin. Being free from silicones is so unusual for a serum and Phyto have got it just right. Now, this serum isn't one that transforms my mane into something soft. That's what I like to use hair oils for. Instead, this keeps my hair strong and healthy. Rather than make hair 'appear' in better condition, by just coating the damaged areas and temporarily gluing them together to feel softer short-term, this serum actually works to do hair some proper good long-term. I'm never convinced that split ends and and damage can ever be fully repaired, but this serum certainly prevents breakage and stops my hair becoming as weak and dehydrated from heat styling, brushing and excess washing. The only downside is that I need about four pumps per use to sufficiently coat my hair, which means the 30ml tube runs out pretty quickly. That doesn't stop me from regularly repurchasing it, though and there's always a tube on my dressing table. For years, I'd been faithful to the one and only Moroccan Oil, but felt like spreading my wings when I came to the final pumpful of my last bottle. Low and behold, I've found something to give it a run for its money! 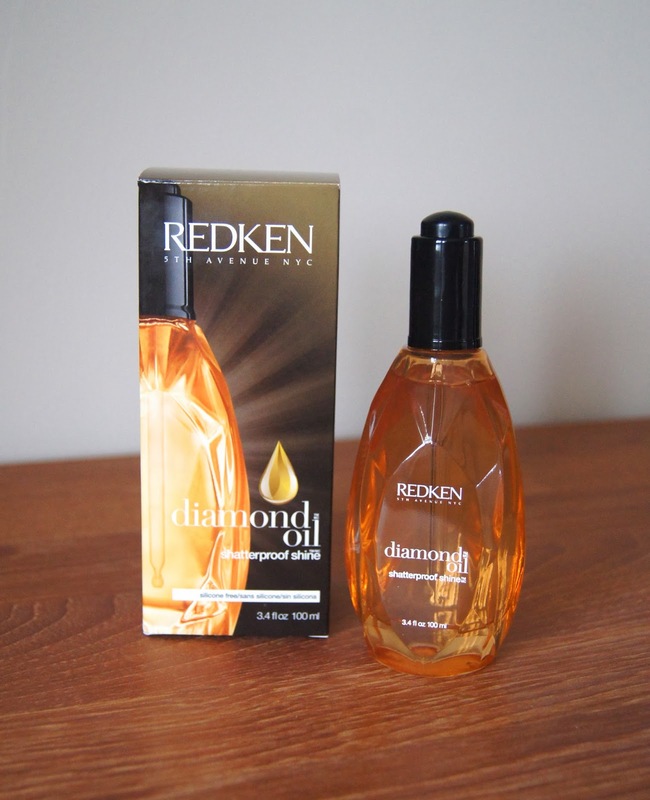 The Redken Diamond Oils had caught my eye, as they're free from silicones, which is pretty much unheard of for hair oils. I won't go into the whole debate right now, but I've been trying to avoid hair products that contain them for a while, to see how my hair copes. Instead, this concentrated, leave-in treatment gets all of it's goodness from various, natural oils, such as coriander, sunflower and apricot. Free from more artificial ingredients, this oil isn't as thick or heavy as other market leaders. However, you still only need a couple of drops as it's concentrated stuff and too much leaves even my extra-long locks looking lank and greasy! Applied lightly, I'm left with seriously shiny, super glossy and soft hair. I tend to use hair oils on dry hair, but this works well on wet hair also, just don't get over-zealous with the pipette. On par with the industry favourite, Moroccan Oil, my hair is left happy and I don't feel guilty for suffocating it with silicones. Not only that, it smells divine; I highly recommend going and having a sniff. When it comes to styling products, I look for anything volumising to give my fine, long hair some much-needed life and body. Volumising powders give me mega lift, but are a one-day wonder, leaving my hair sticky and needing a wash the next day. Mousse makes me feel like a granny, basically. And we all know the breakage that backcombing can create. 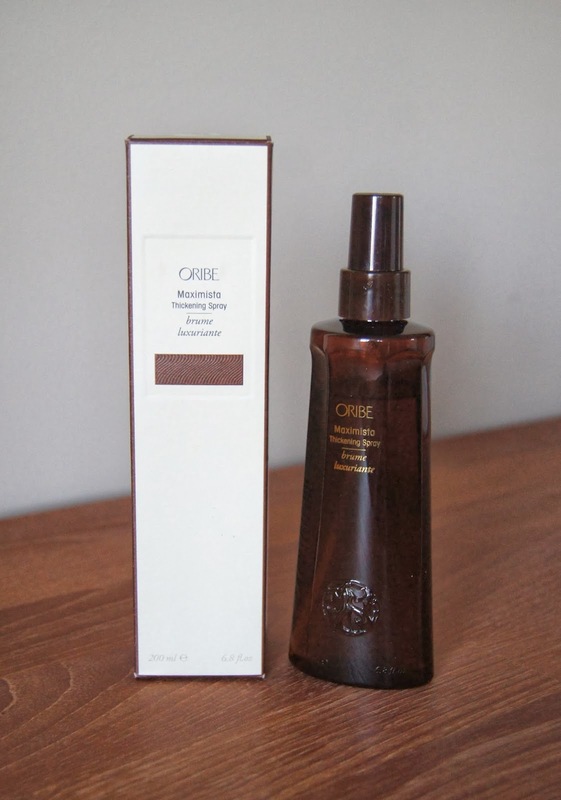 For me, sprays are the way forward and Oribe certainly ruled the high-end, hair roost in 2013. Everyone sang the brand's praises, despite the guilt-inducing price tag for even the miniature, travel-size bottles. After picking up the Maximista thickening spray, I haven't been without it in my evening-out routine. It adds texture to my hair, gives it some volume and plumps up my locks, without feeling heavy or dirty. After blow-drying and styling, my hair hits an all time high and looks as though I have double the amount, which is a miracle. If, through the day or night, my hair starts to fall flat, all it needs is a gentle rough up with my fingers to bring it back to life, with the after-effects lasting until I next wash my hair. As it doesn't leave any gross residues behind, I don't have a huge mess to deal with the morning after. I don't hold myself responsible for any more Oribe purchases made in 2014, the products are just impossible to resist! 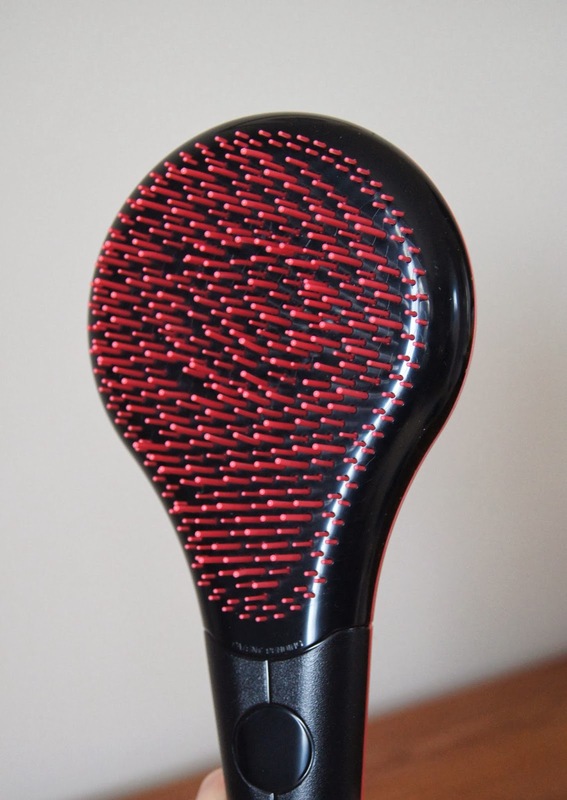 The only alternative to regular brushes that I'd tried before 2013, was the famed Tangle Teezer. Yes, for a while it was great, but it soon slipped out of my handbag and my old-favourite, paddle brush crept back in. Don't get me wrong, the tangle teezer did make light work of any annoying knots and tangles, shaving precious minutes off my morning routine, but, it was just far too awkward to use without a handle. Enter the Michel Mercier Detangling Brushes, with all the hair-saving benefits of their rival, plus a better design. As they do the same job, it's no surprise that the bristles of both brushes are practically the same, being plastic and varying in length. Gliding through dry or wet hair effortlessly, the Michael Mercier brush makes light work of knotty, rough hair, without being at all painful or too scratchy on the scalp. I find significantly less stray strands around the place now and I can tell as I use it, that it's much gentler, compared to a regular brush. With the short handle, it isn't at all awkward to hold and you don't find yourself dropping the brush during use. Even with the handle, the brush is still small enough to fit into your handbag. Another bonus of the range, is that they cater for a variety of hair types, colour coding the designs, allowing the brushes to work as effectively as possible. If, like me, you have fine hair, go for the pink one, normal hair is suited to the green and the blue is made for thick hair. Most of the time, I let my barnet dry naturally and leave it be; my hair has a natural wave to it that I quite like. But, as you do, I get bored easily and like to mix it up sometimes, although I absolutely despise having my hair up. The extent of my styling experimentation goes as far as either curling my locks, or straightening them. 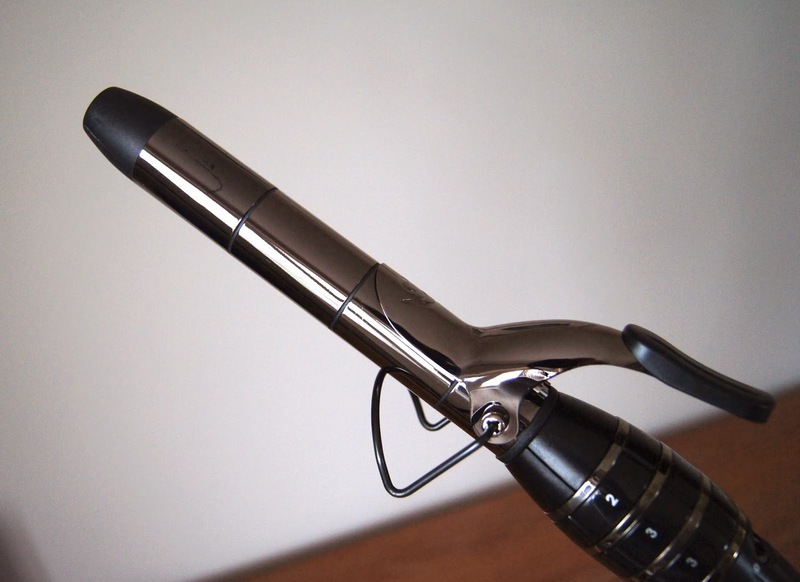 The Enrapture Totem Styler is a curling tool miracle. Rather than just producing one type of curl, like most styling wands, this bad boy gives you a multitude of options, thanks to a barrel that's separated into three sections, all of which can be set to differing temperatures. No matter what type of curl I'm after, be it tight ringlets, loose, beachy waves or bouncy, glamorous curls, it's easy. The smooth, titanium plated wand heats up in an instant and stays at a constant temperature, making sure that the curls last all day. Being left shiny and frizz free, my hair isn't abused too much when using the Totem curler. No precious strands getting caught in the barrel and being pulled out, here. When I'm traveling, this wand gives me a choice of hair looks, so I can vary my style without having to cart around extra appliances in my suitcase. Less clutter to store away at home too? Yes please! 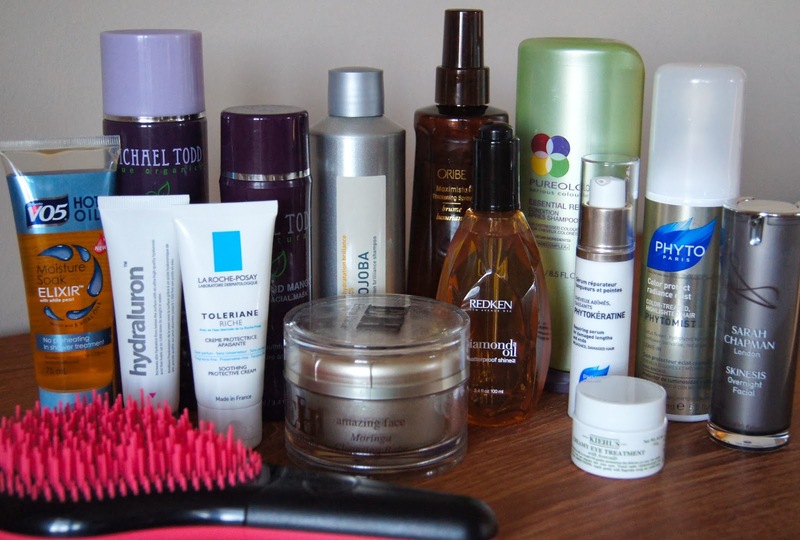 Which skincare and haircare products were your favourites in 2013? Any recommendations for me?